Looking for the perfect gift? Give the gift of swimming lessons – a unique and thoughtful option. This “life skill” will benefit the recipient indefinitely. 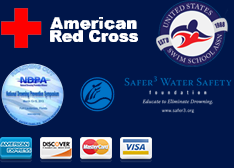 Making Waves Swim School gift certificates are available in any amount, may be used towards registration, swim lessons, and lifeguard training courses – and do not expire! Do you only need swim lessons for 1 child? Are you interested in lessons for 2 children? Do you need lessons for yourself as an adult?